Anti-aging begins with ... water! EVERYTHING IS BETTER WITH THE "RIGHT" WATER. Ionization of water through electrolysis has been the results of decades of development. 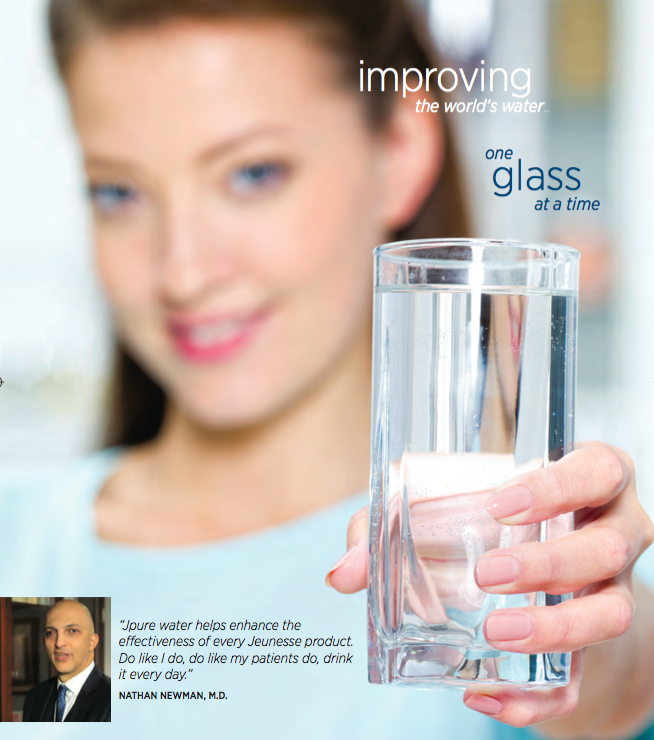 JPure water is the result of refining this technology. JPure water is rich in minerals, purged of impurities and ionized through electrolysis to obtain active hydrogen and abundant electrons. These electrons impart strong antioxicant properties that strengthen the body's immune system. Jpure balances your body's pH with alkaline-rich minerals, provides powerful antioxidant potential, and maximizes hydration at the cellular level ... all of which helps keep your body young and healthy.